Respawn Entertainment surprised everyone with the announcement of a secret side project they have been working on while they continue developing their Star Wars game. 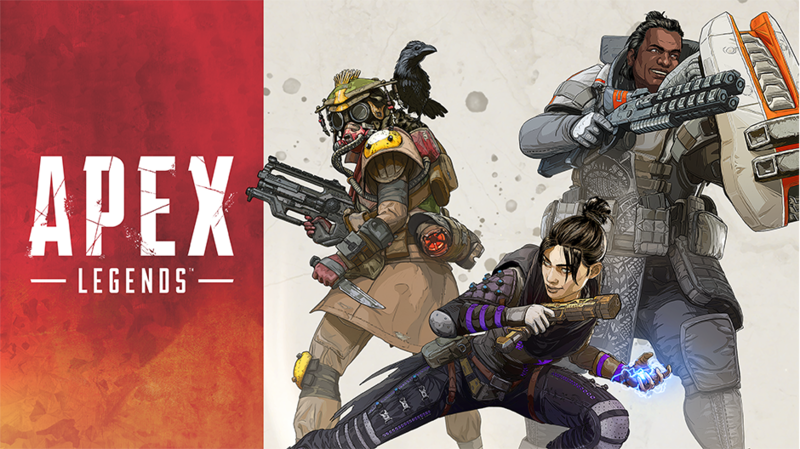 Apex Legends was announced on February 4th, and released the at the same time. A Battle Royale game set in the Titanfall universe, here is my first impression on the game. Between the 3 man team aspect of the game and revival of teammates after they are fully killed off, it all plays into a central idea: “team work” is key. Even before the match you are strategically selecting your characters (Legends) and working with your team to figure out the best 3 abilities to play together with. I have enjoyed this aspect of the game because it does feel a lot like Overwatch, which has been one of the hybrid comparisons we have heard when describing Apex Legends. The characters all have abilities and supers just like Overwatch, so picking a healer, damage, or tank means your teammates should find another role to build a balanced team, and working together benefits everyone with buffs, gear, healing, and more. Between the 10 games, I had 2 kills and more than 10 deaths, thanks to my buddies reviving me over and over. Even though I did not play well I found the game fun, exciting, and different enough from all the other Battle Royale games out on the market. If you’re on the fence about this game, I would highly recommend you try it. It’s a free game so giving it a chance costs you nothing. If you end up liking it and want to buy a battle pass or your favorite character’s new badass skin, you will have plenty of cosmetic gear to collect, all of which is earnable either in-game or through micro-transactions. I look forward to gaming with my team and getting some wins eventually. First impression on Apex Legends: It’s a ton of fun with very polished mechanics and an interesting mix of characters and environment. It’s a must play!